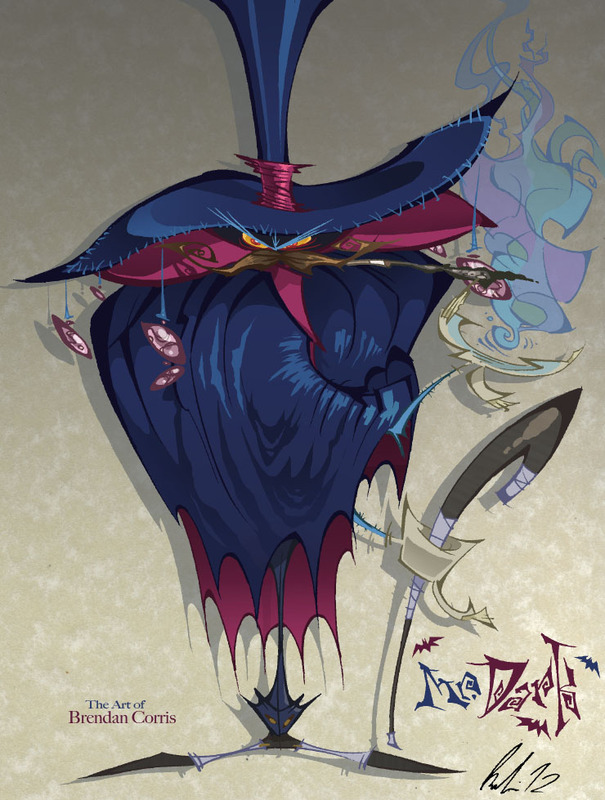 The main antagonist of the very first Rayman game and a magican who is a stronger threat than Bowser and Eggman together in their thoughest incarnations for sure. The first Rayman really was looking like a game for kids but its difficulty was so hard that it got critizised for it in almost every review i ever saw for the game. Brendan Corris draw this image of him and added his own ideas to give him a bit of a bandito (wild west /mexican gangster cliche look) and a voodoo witchdoctor elements. Interesting design Brendan, thanks for sharing!